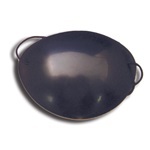 Large cloth eye patch that is black. Fits comfortably over the eye with stretchable elastic band. Measures 85mm. Manufactured by Bernell. Comes 12 per pack. 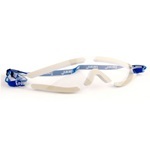 Encore Dual Eyeshield clear foam goggles. Designed to be worn at night by post-LASIK & Cataract patients for maximum comfort & protection. Made from polycarbonate and has black adjustable elastic fastening strap. Measures 8.5" long. Manufactured by Dioptics. Comes as singles. 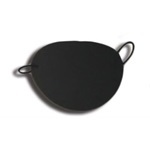 Large foam eye patch that is black. 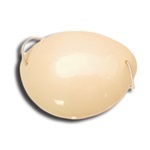 Solid plastic shell with soft sponge edge that uses an elastic fastener. Measures 43mm x 65mm. Manufactured by Bernell. Comes 12 per pack. 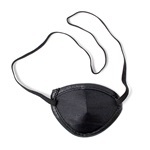 Large plastic eye patch that is flesh colored. Solid plastic shell that uses an elastic fastener. Measures 80mm x 55mm. Manufactured by Bernell. Comes 12 per pack.